Don’t wait for your singing to be perfect, nothing ever is. I was corresponding this morning with someone who recently purchased a Vocal Assessment from me. (A service I provide where people send me recordings of their voice with their questions for my opinion). She wrote me to say that she was working on a piece to prepare to record for me and she was hoping to send it next week. I responded, “Looking forward to hearing you. Don’t wait for it to be perfect”. And it got me thinking. 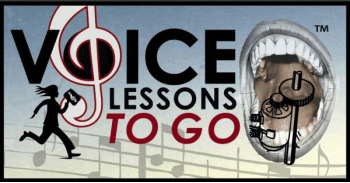 Over the years so many people have purchased Vocal Assessments from me and sometimes, they never even sent in recordings for me to do the Assessment, even though they paid me for it. Someone could steal your chance if you don’t show up. Perfect or not. How many times have you heard from someone that they got the part, or gig, when they weren’t ever expecting it?- “I wasn’t even ON at that audition…and they called me”. The opposite is true, I know how many killer auditions I did in my life when I didn’t win the end prize. Now that I am older, (than I once was ;), I know more than ever, that perfect never, or absolutely rarely ever happens. There is always room to be better. Take that in singers out there. We judge ourselves so harshly, constantly self-critiquing of what we could have done better. Singing is about the journey of singing. How do you sing right now, not at your perfect moment? If you wait for perfection, you may miss all your opportunities. So whether you are putting together a recording to get a Vocal Assessment from me, or prepping for a huge audition, show or recording, enjoy where your voice is right now. Celebrate it. Be proud of it. Don’t wait for perfect. You can always record, perform, audition again. Always strive for more in your training, but enjoy your exact moment and level that you are in.